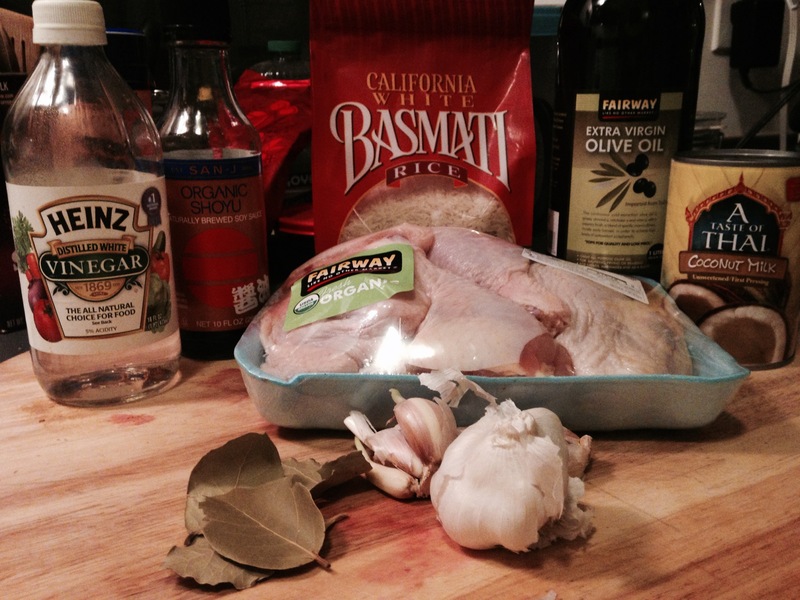 When I heard that this recipe was considered by many to be the best chicken recipe in the world, I had to try it. Plus I wanted a good excuse to try out my new ceramic cast iron skillet. You’ll need: 3 lb organic chicken cut into 8 pieces, 8 cloves garlic, 1.5 cups coconut milk, 1 cup soy sauce, 1/2 cup white vinegar, 1 cup water, 4 bay leaves, scallions. Served with cooked white rice. Combine soy sauce, water, vinegar, bay leaves, chopped garlic, and 3/4 cup of the coconut milk into the skillet. Bring to boil. Then add chicken and simmer on low heat for 30 minutes cover. Flip the chicken over a couple times during this process. You can either let the chicken marinade in this sauce over night, or like I did, roast just the chicken on very high heat 450 degrees in the oven for 15 minutes or so on a baking sheet. Meanwhile, add the rest of the coconut milk to the sauce, and reduce the sauce until you have about 1 cup of liquid. Serve with rice. 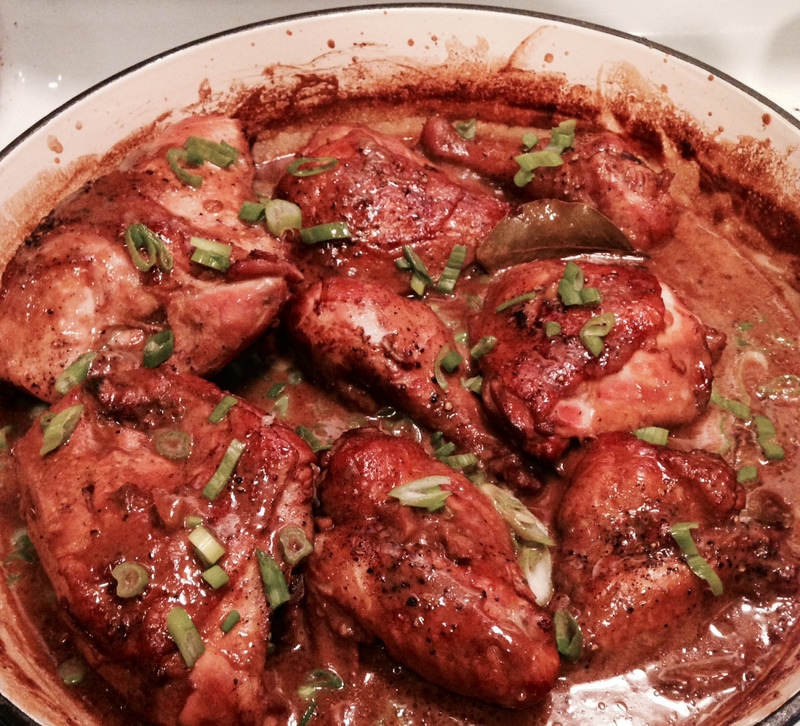 Drizzle sauce over the chicken and sprinkle a bunch of sliced scallions over top. I still think Jamie Oliver’s milk chicken is a little better, but this is a close second.